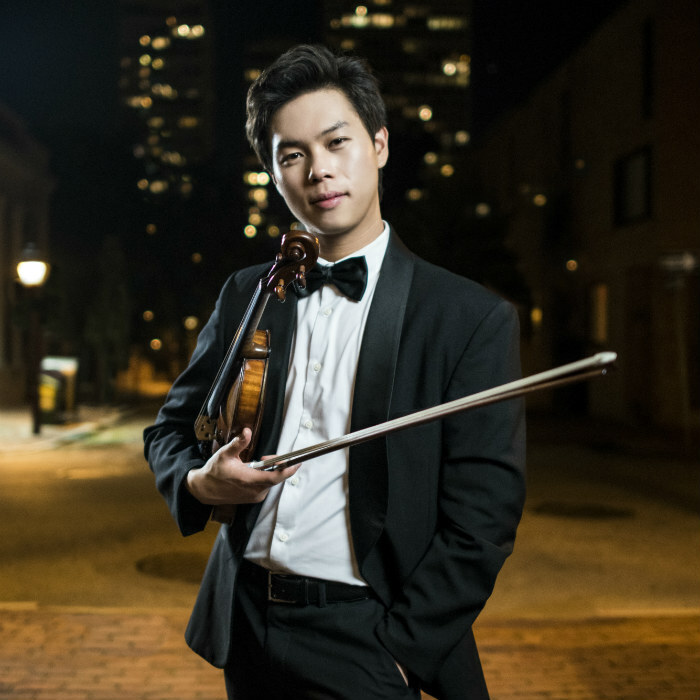 Violinist Timothy Chooi will be our special guest on June 23rd and 24th. Chooi is the 2018 first prize winner of the 10th Joseph Joachim International Violin Competition in Hanover, Germany. Timmy is a Victoria native, so it has been thrilling to be able to closely follow his development from adorable tot with a tiny violin to international prize-winner. For his EKSM debut, he has chosen a program of works for violin and piano by Beethoven and Saint-Saëns, a Paganini Caprice, and the zenith of Mozart’s string quintet writing, K.516. Timothy will be joined by Lorraine Min on the piano and by Simon MacDonald, violin; Kenji Fuse and Felix Alanis, violas; Laura Backstrom, cello.